Aquatic leafy green circular leaves. Spicy and bitter taste. Pair with steak for a peppery fresh addition. 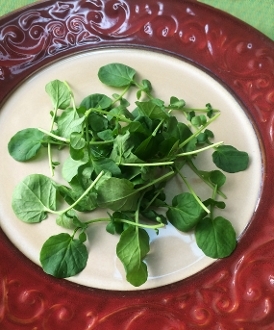 Use as an edible bed for poultry or toss in a salad for unique flavor!